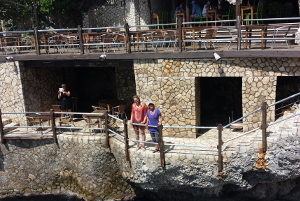 This is the video where we dived underneath a rock! 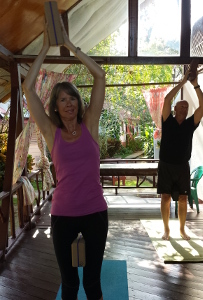 "Another FUNtastic Retreat with Petra & Lurie. 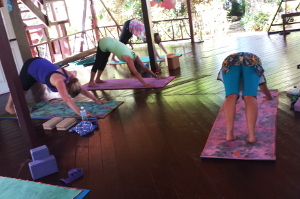 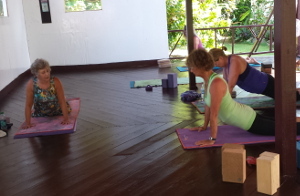 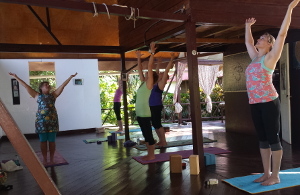 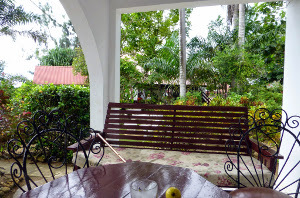 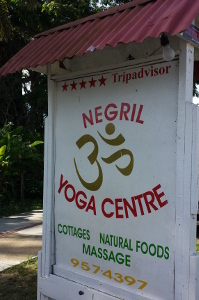 This one was the Jamaica trip in April 2015 that included lots of great yoga in a beautiful garden setting at the Negril Yoga Centre where we stayed, with healthy and delicious meals served, and just a short walk to the beautiful Seven Mile Beach. 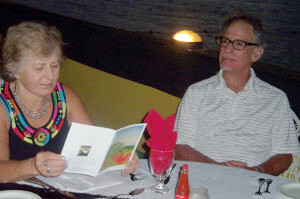 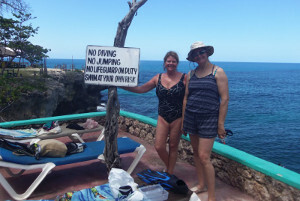 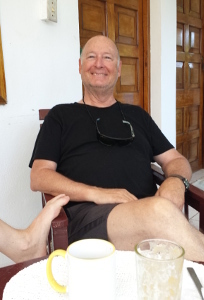 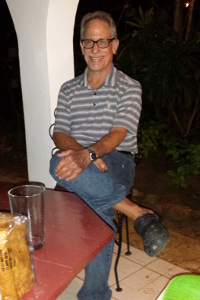 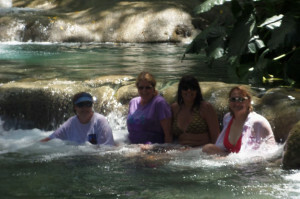 Ours was an interesting and diverse group of fellow travelers with whom I played, explored, snorkeled, went scuba diving, hiked through majestic Mayfield Falls, and shared some great dining experiences at lovely and exotic restaurants. 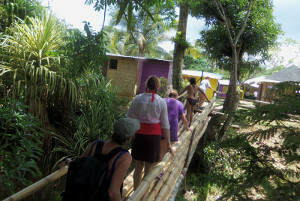 We did so much and had such a great time doing it all. 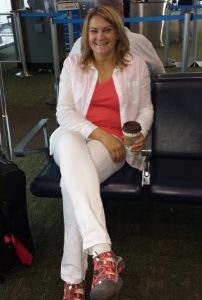 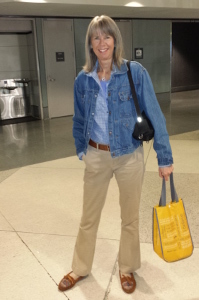 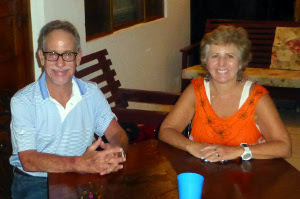 Thanks Petra and Lurie for putting this all together and I look forward to going to Guatemala next year with you. 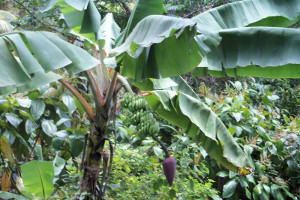 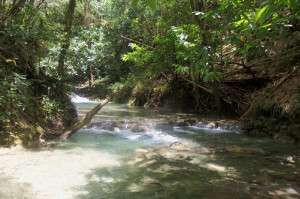 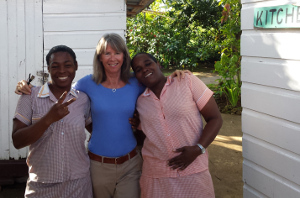 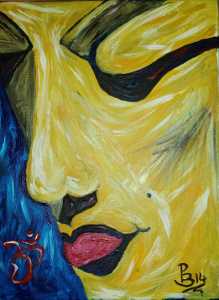 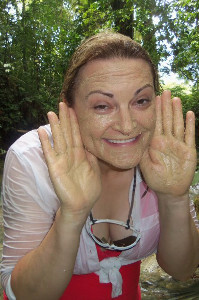 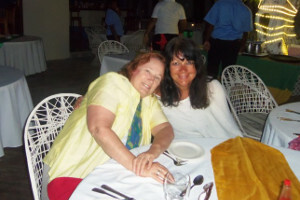 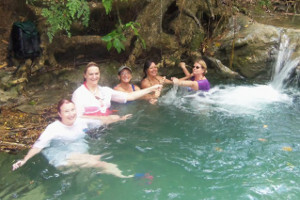 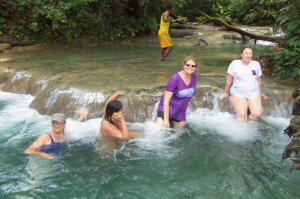 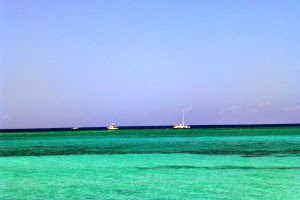 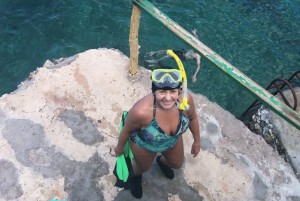 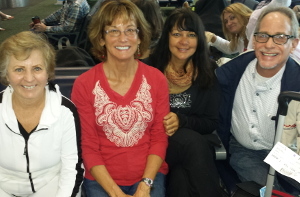 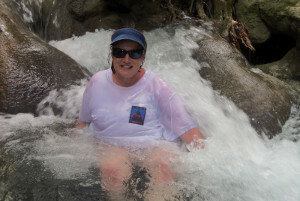 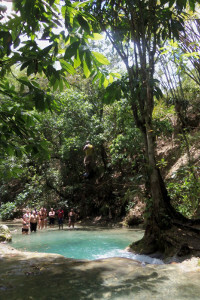 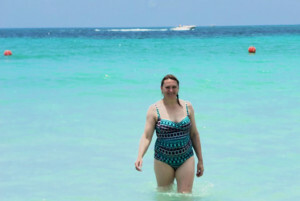 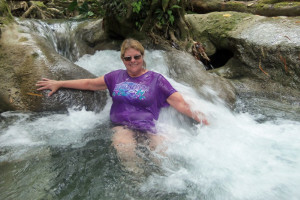 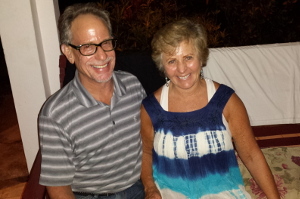 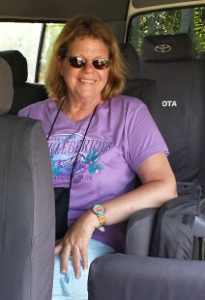 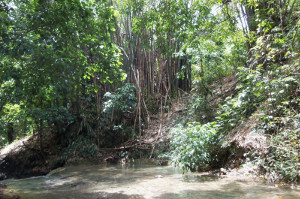 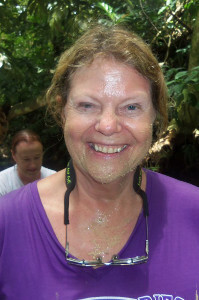 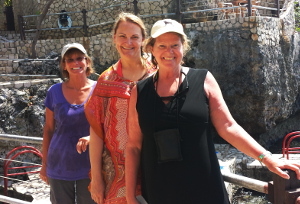 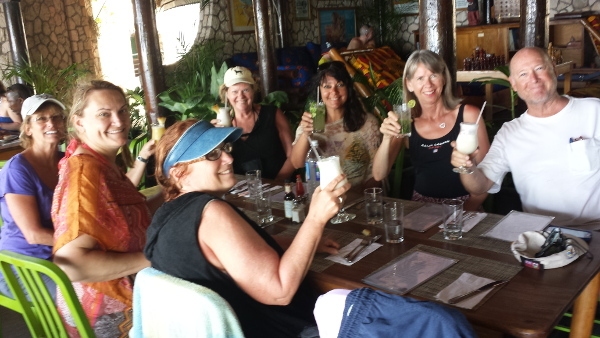 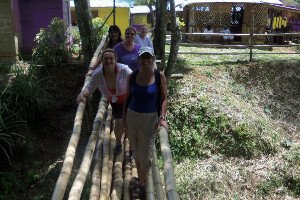 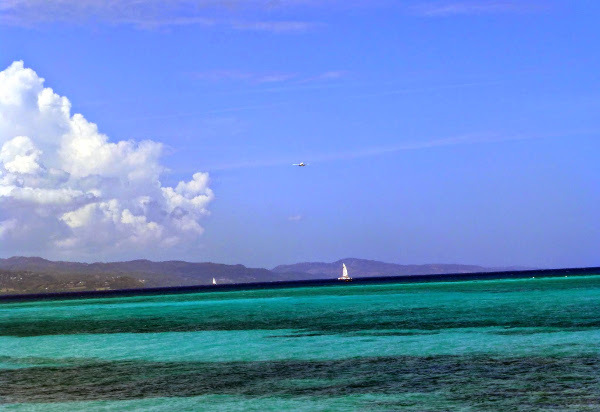 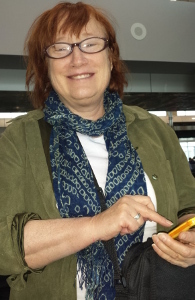 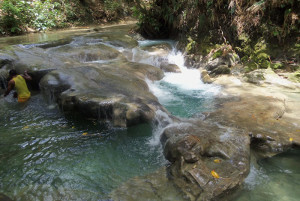 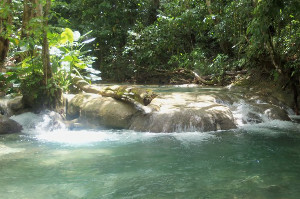 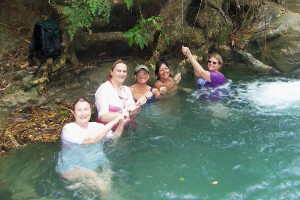 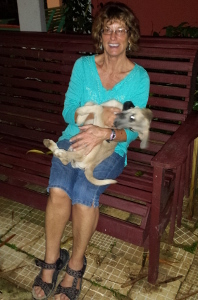 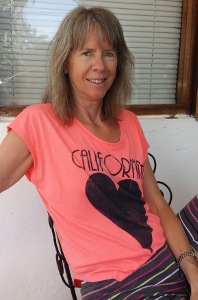 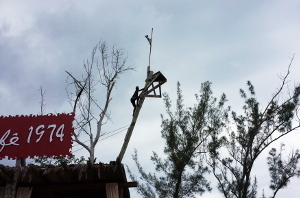 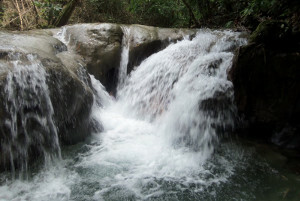 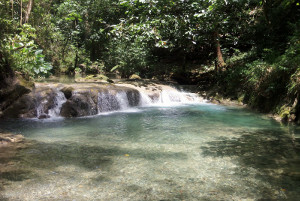 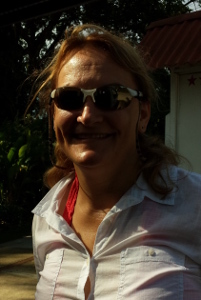 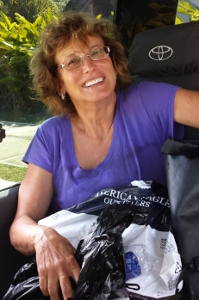 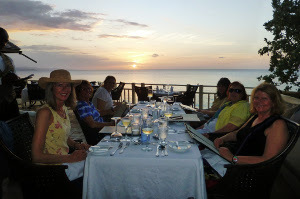 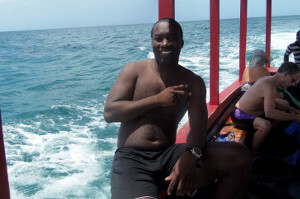 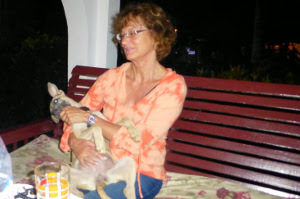 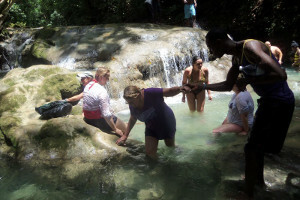 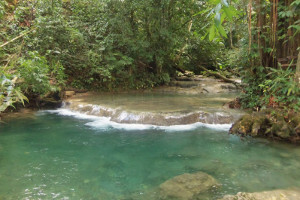 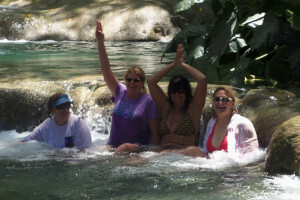 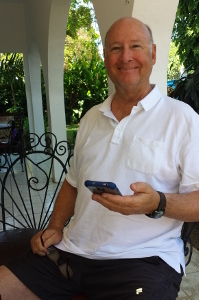 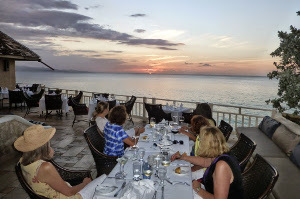 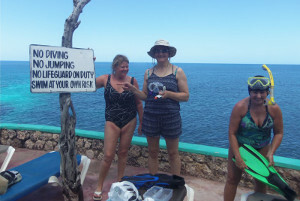 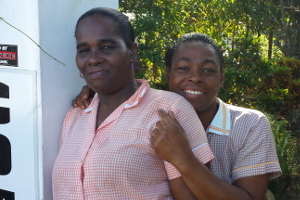 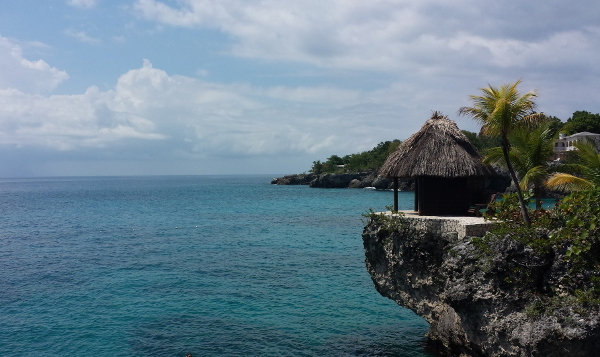 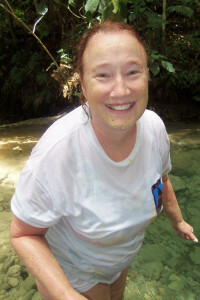 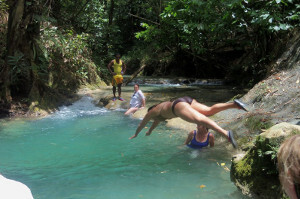 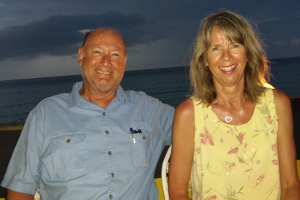 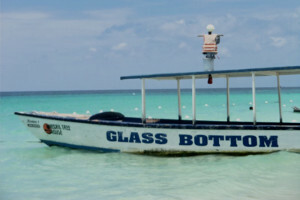 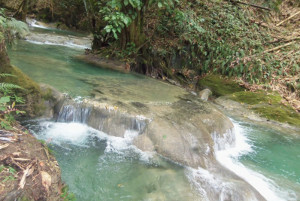 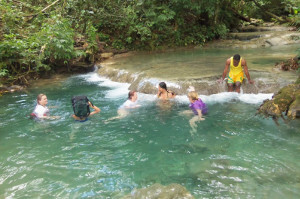 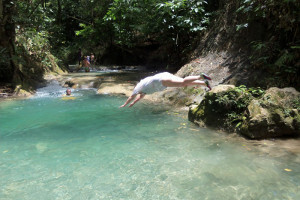 Terese K.
"In April 2015 I went to Jamaica with FUNtasticretreats, and it was really fun! 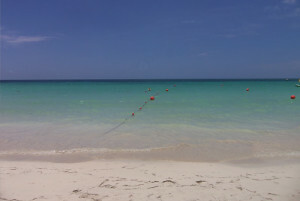 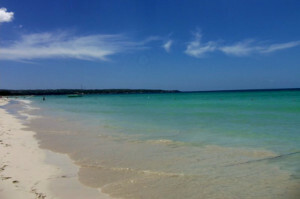 We were at a yoga center (with a great cook) across the street from this beautiful beach. 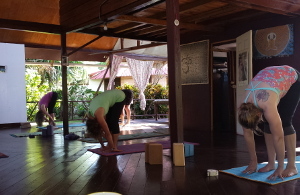 Being pretty much a yoga beginner, I liked that the yoga was gentle and I also really enjoyed the meditation we did in the classes. 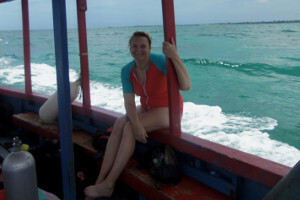 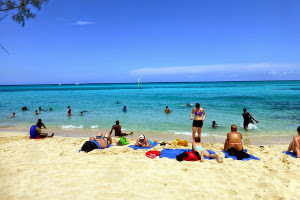 There were lots of things to do, like swimming, snorkeling and boating. 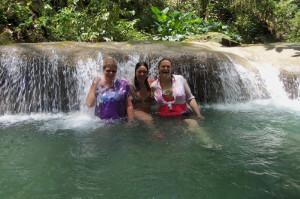 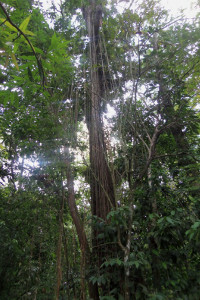 The highlight for me was a trip to the interior of the island, where we walked up a stream with lots of small waterfalls. 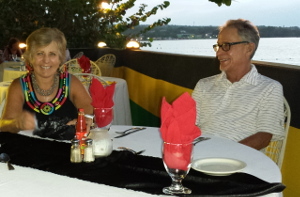 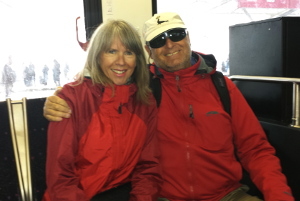 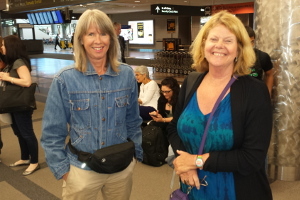 This was my third trip with Lurie and Petra, and they really do all they can to ensure that the trip is very enjoyable for all." 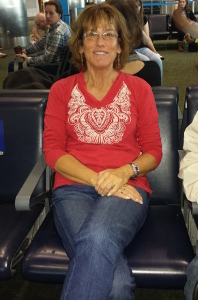 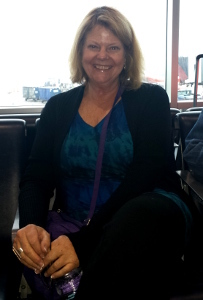 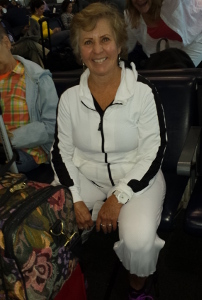 Alice W.
"I had a wonderful time on this trip. 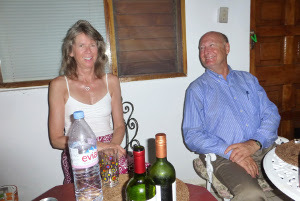 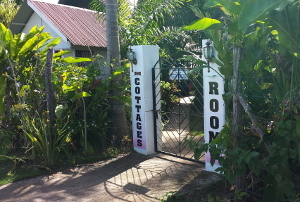 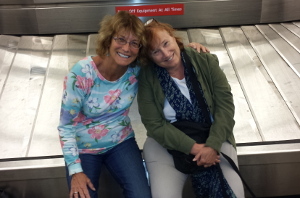 Petra and Lurie do such a good job to make sure each person is accommodated and enjoying their vacation. 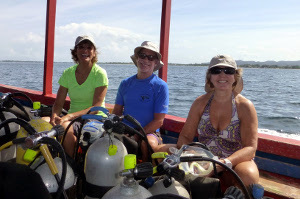 I love that the trips are both relaxing but also include so many options of fun and active things to do that there is never a dull moment! 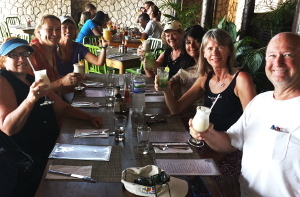 Everyone seemed to get what they wanted out of the trip and the number of repeat vacationers speaks for itself. 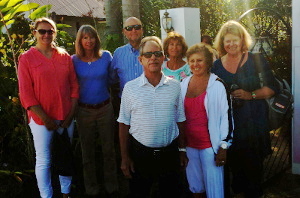 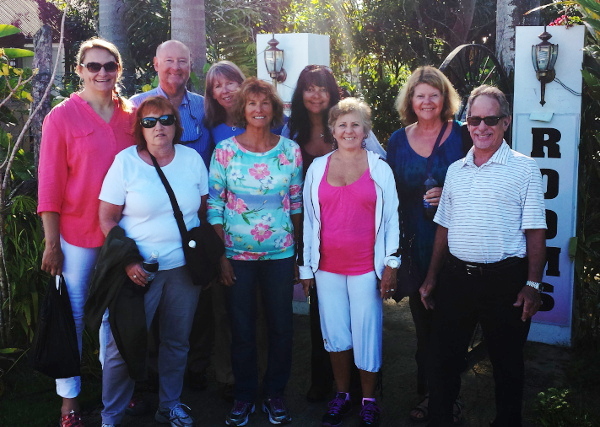 Great folks to make great memories with and have some wonderful unique experiences at tropical locales – who could ask for more?" 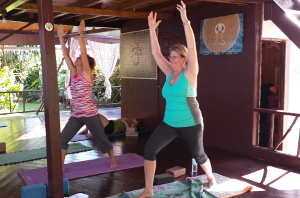 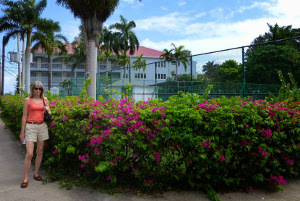 Julia L.
"The yoga retreat in Jamaica was very relaxing. 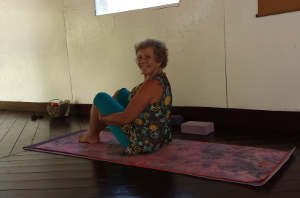 I enjoyed the gentle yoga being a beginner. 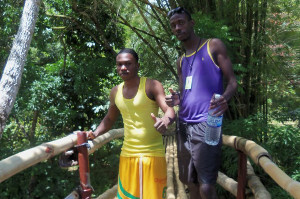 Everyone on the retreat was easy going and cool. 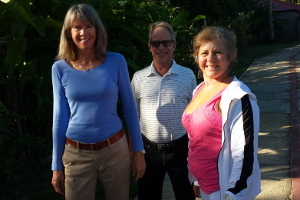 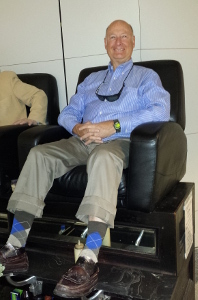 I plan to join Lurie and Petra again on a future retreat. 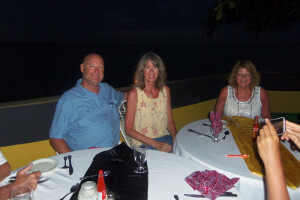 They do a great job in organizing fun activities for all. 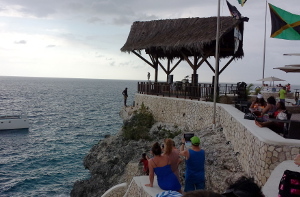 Yah Mon!" 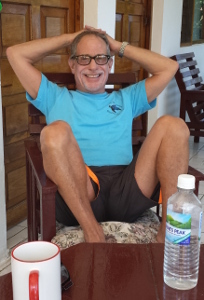 Bruce N.